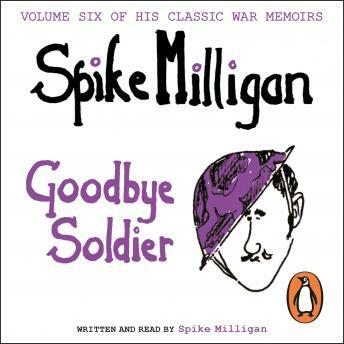 Penguin presents the unabridged, downloadable, audiobook edition of Goodbye Soldier, written and read by Spike Milligan. What a lovely warm personal record of a British soldier/musician/comedian just after the war was over and before returning to Britain. How tender yet amusing. Back to harsh reality I am plagued by constant dead short interruptions in sound which is rather irritating is there any reason for this and how could I overcome this?